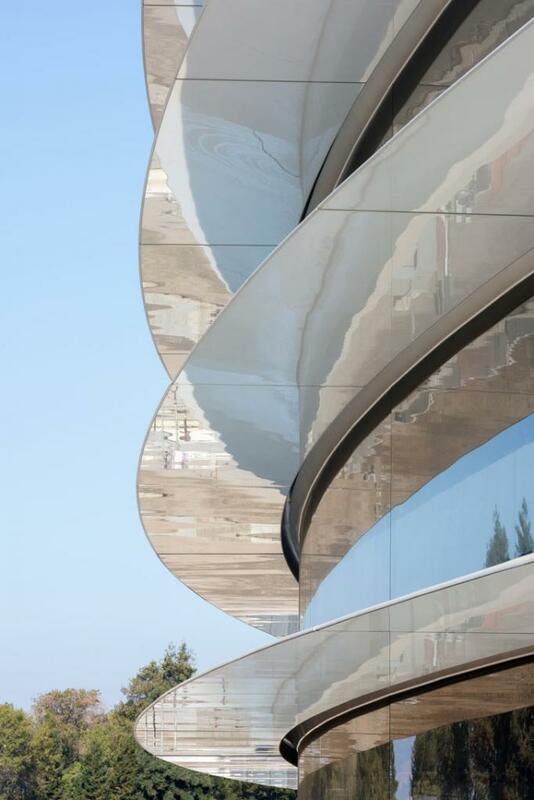 While we’re all semi-patiently (read: not at all patiently) waiting to devour fresh iPhone 8 rumors, Apple has announced that their new headquarters—Apple Park in Cupertino, California—will be opening soon. Though some construction will continue throughout the year, employees will begin moving in in April. At the center of the 175-acre campus is the company’s new donut-shaped headquarters, a marvel of metal and curved glass that looks rad from Google maps. With that striking arial view and its “secure research and development facilities,” the building is basically the Pentagon of tech. And thanks in part to its massive 17 megawatt rooftop solar farm, Apple Park will run entirely on renewable energy. 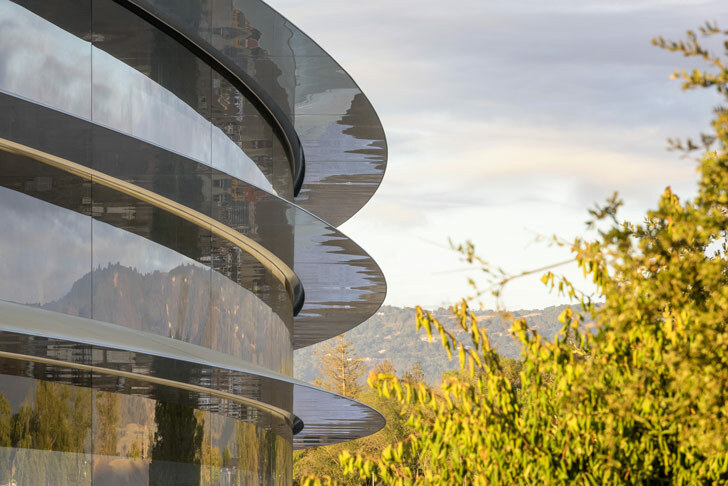 The campus also includes Steve Jobs Theater, a 1,000-seat auditorium in a 20-foot-tall all-glass cylinder topped with a carbon fiber roof. The words “sleek” and “minimal” are definitely seeing an uptick in use on the Internet today. 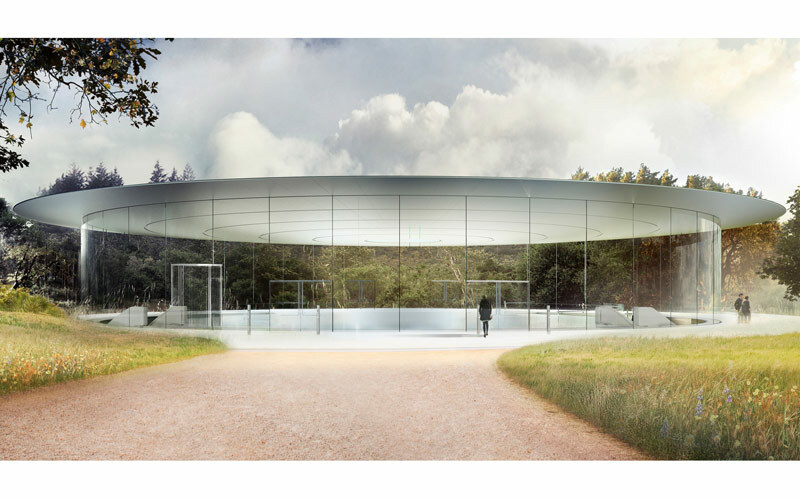 Now, here’s the part that’s important to you: There will be a visitors center, an Apple Store (and what a glorious Apple Store it will be), and a cafe that’s open to the public, as well as an orchard, a pond, a meadow, and two miles of walking and running paths. Next time you’re passing through San Jose, you may as well plan for a detour. Thomas Harlander is a staff writer at Los Angeles magazine. You can follow him on Twitter and Instagram. He recently wrote: A Guide to the 100 Stunning Architectural Gems of L.A.
Next articleThere’s a Golden Yeezy On Hollywood Blvd.